Hey, parents! Looking for a fun, easy craft project for your kids this summer? You’ve come to .. well, not the right place but more like the temporarily SFW place. This is never the right place to come for good kid-friendly content of any sort. That being said, I made a thing and I thought it would be super fun for little kids, so I’m sharing it even though I really must stress that I am not normally crafty OR kid-friendly in any way. 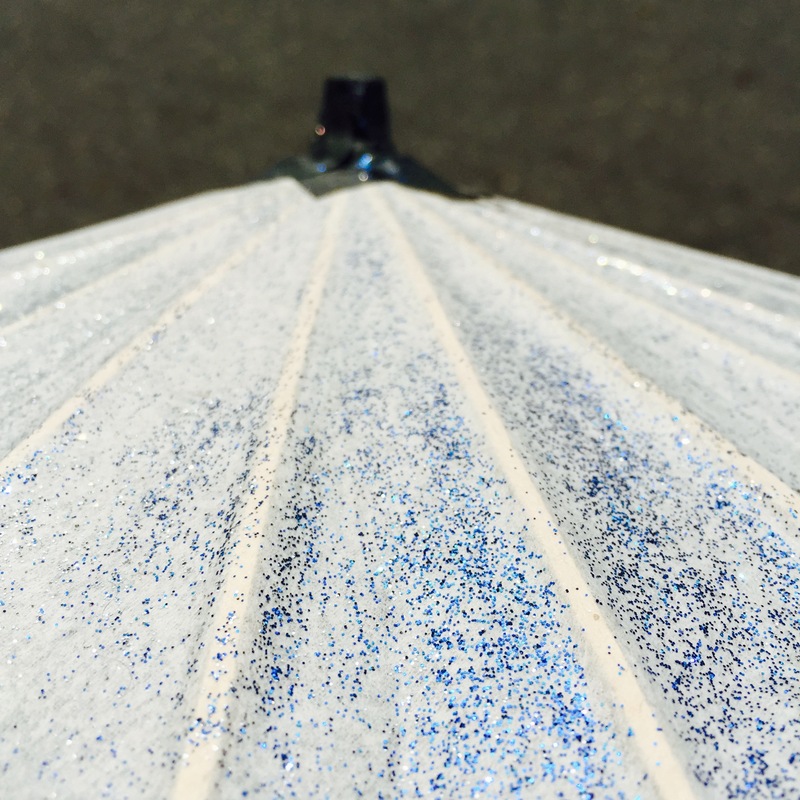 Make a Fabulous Glitter Parasol! 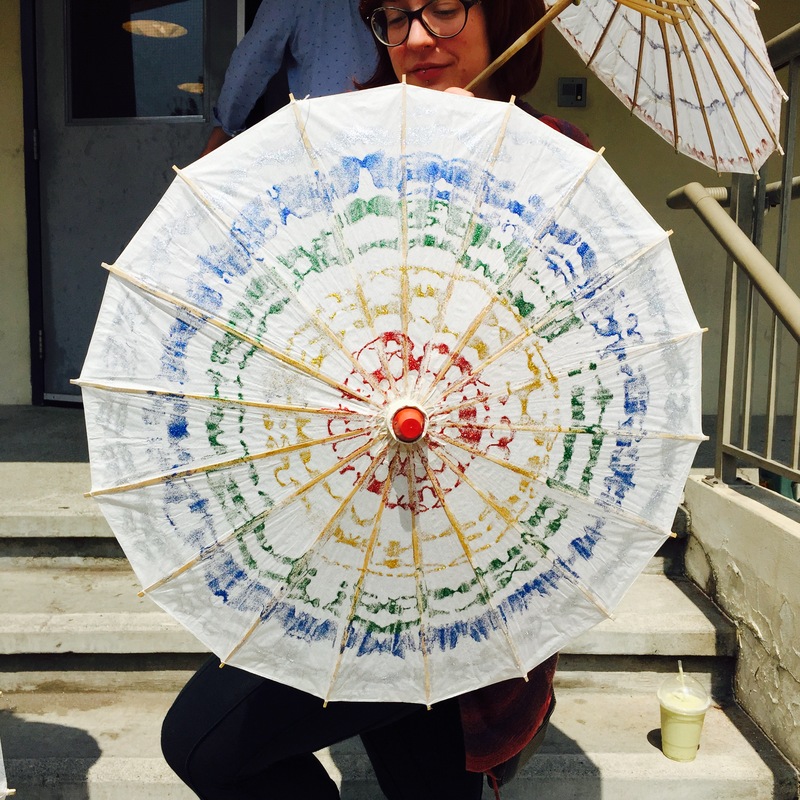 A paper parasol. These can be found in your local Chinatown gift stores. Look or ask for paper ones, which’ll come in many colours and sizes and sometimes patterned. 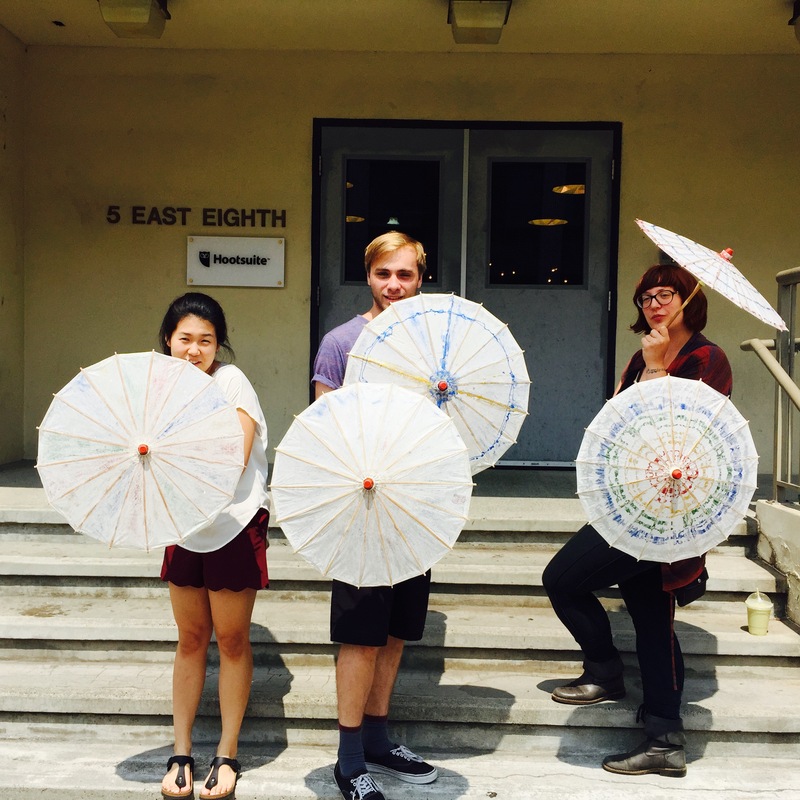 I used plain white parasols, but this would work well on any colour and look pretty cool over a pattern too. These can range from $2-3 for small ones, up to $10+ for umbrella-sized one. I bought medium-sized ones that would be perfect for a kid, and they were $5 each. Glitter Glue! Hit up a dollar store and grab big bottles of glitter glue in many colours. Don’t forget to get gold and silver, because they look super awesome. Skip the small bottles, the bigger ones (125ml/4oz) are way better. 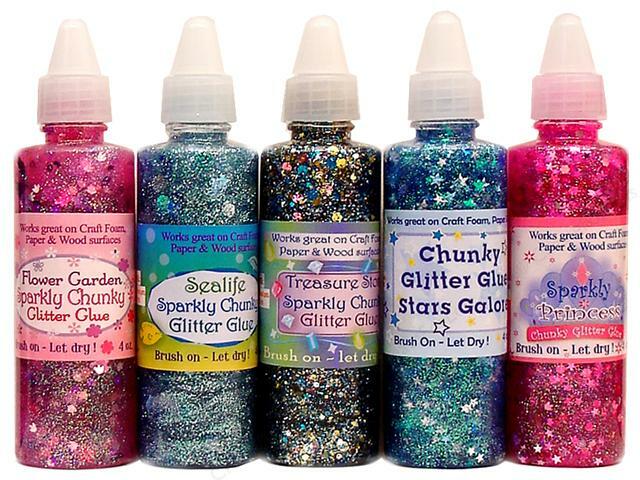 Some craft stores even sell chunky glitter glue with big pieces or shapes! Glitter is the best. my glitter was plain and less fabulous than this. i am calling for a do-over. 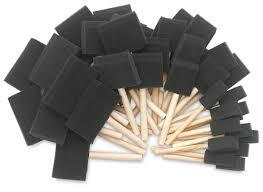 Foam Brushes! You can get an assorted pack of 5-10 foam brushes at the dollar store. Easy to use and washable and they work out to like a dime each, so who cares. That’s really about it. You may want to lay some paper down on your table so stuff doesn’t get destroyed, but that’s up to you. Glitter glue is washable, so it scrubs off pretty easy – ask me how I know. Squirt piles of glitter glue onto plates or small bowls. With your umbrella either open or closed, dab your brush into some glue and start painting. The paper will darken as you paint and may get soggy, but will firm up again when the glue dries. It dries clear! Go nuts! Paint as little or as much glitter onto your umbrella as you want. Because you’re painting paper suspended between sticks, don’t use too much force with your strokes. If things are getting too wet, let that section of umbrella dry for a bit and move onto another part. 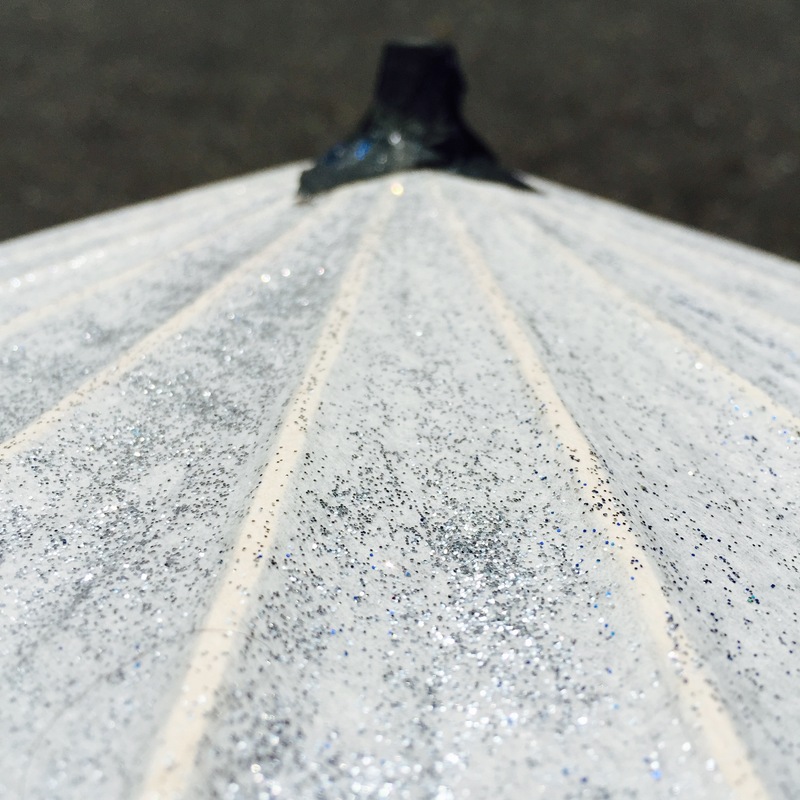 Using the foam brushes is great for all-over glittering, but you can do fancy stuff, too. Squirt the glue straight from the bottle onto your umbrella in circles or shapes. Do this last, because this will need some time to set and dry. You can leave the glue as is from the bottle, or use your fingers to smoosh it around in your desired pattern. glitter is hard to photograph. this is a tiny cute umbrella, but the overall glitter wash turned out great. My co-workers and I painted these up, because we are terrible adults. It was really easy and fun though, so I figured that if a bunch of software engineers could do it, then it’d make a great afternoon craft project for kids. 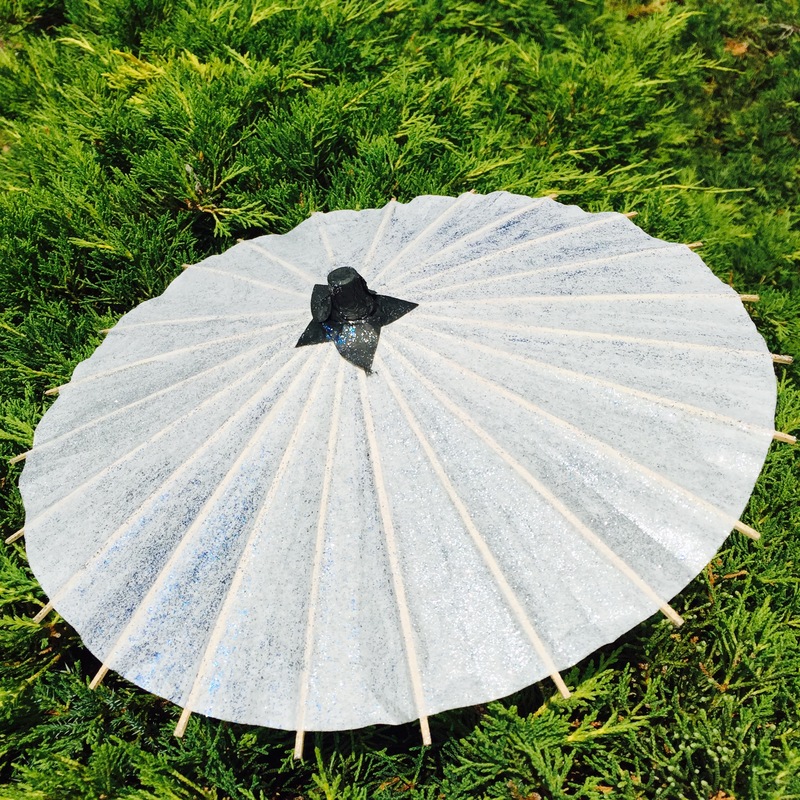 It’s relatively inexpensive, delightfully messy, easy to clean up, and you get a fabulous parasol out of it for sassy sun shade. What’s not to love? If anyone actually tries this, I’d love to see what you make! Hit me up in the comments! Now, if you need me, I will be disco-glitter-awesome in the park.